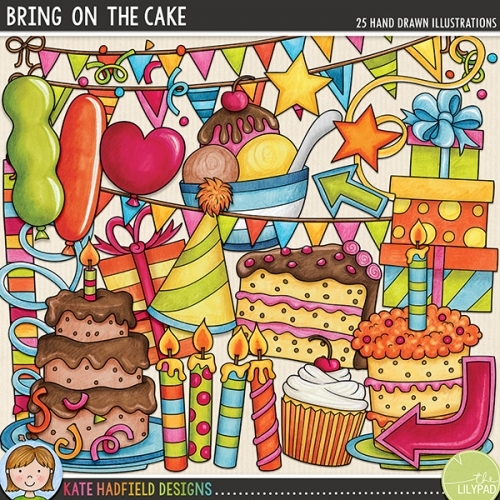 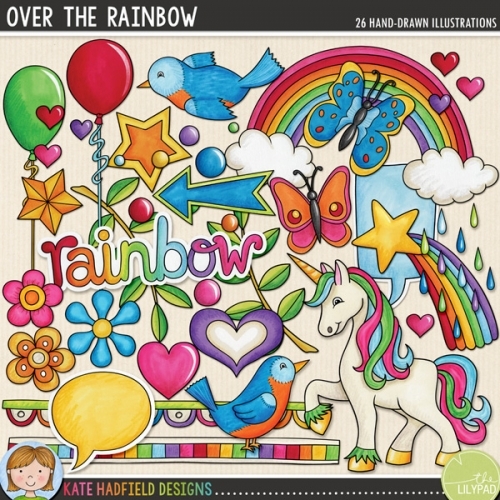 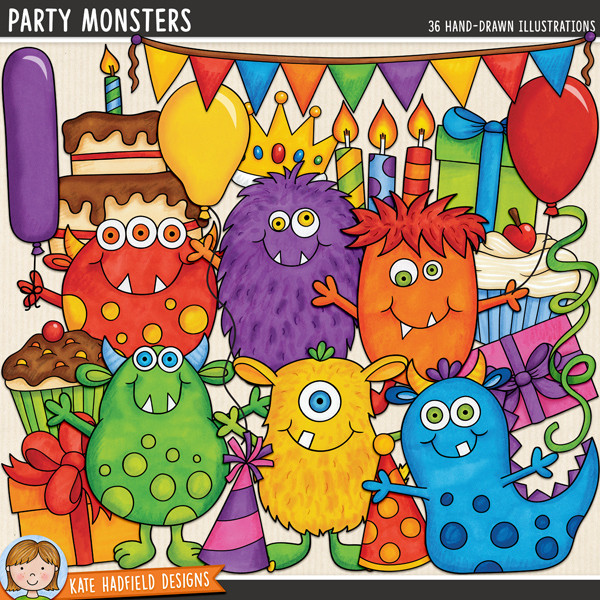 Contains the following hand drawn doodles: 3 balloons and 4 balloon strings, birthday cake, bunting, slice of cake, 5 birthday candles, crown, 3 cupcakes, 4 gifts, 5 party hats, 6 cheerful monsters,"party!" 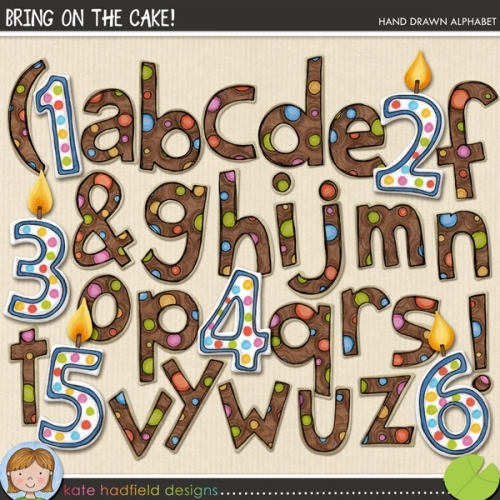 wordart and 4 streamers. 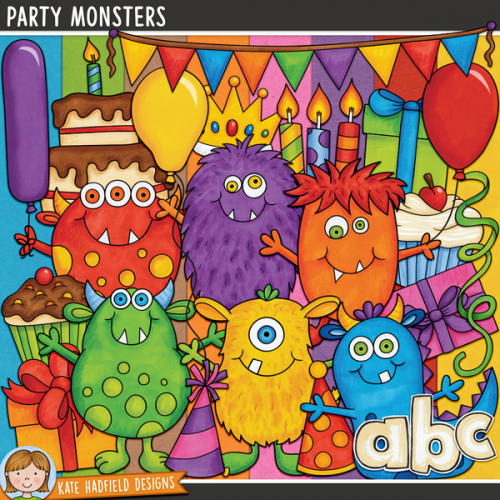 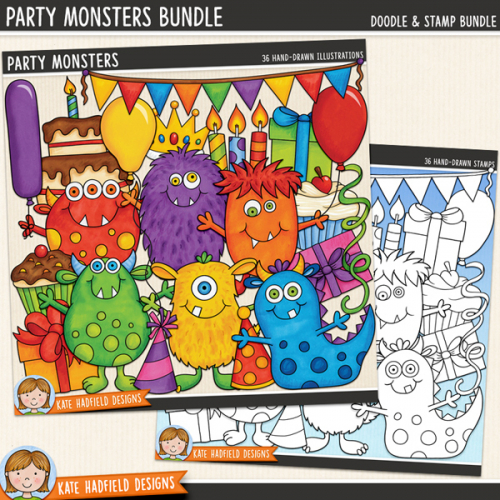 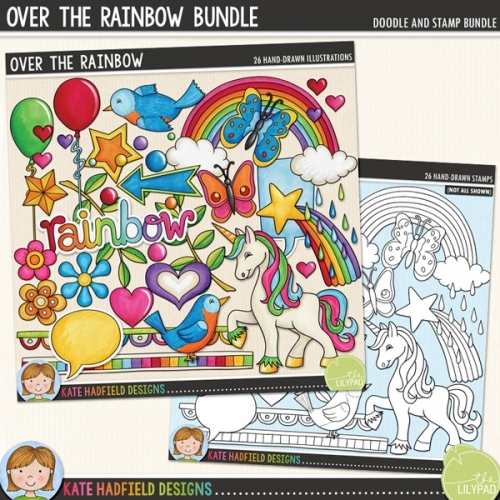 You might also like the Party Monsters kit containing these doodles, an alphabet and coordinating papers!